We are a global, values-based organization empowering talented engineers and scientists, along with a wide-range of sales, marketing and operations professionals to manage a publicly-traded company consistently ranked as one of Oregon’ s best places to work. Will you join us? The role of the Global Alliances and Channel Manager plays a critical role in establishing, maintaining, and growing the ecosystem necessary for our company to deliver products and technologies to market. As a multi-sided platform, our products require the close collaboration and alignment of its ecosystem Partners to deliver customer value. The Global Alliances and Channel Manager role is evolving at our company to further drive Partner and Channel-friendly business and product strategies while collaborating closely with Sales to establish strategic engagement and joint-sales pipelines that assist in deepening our market penetration.
? Manage all Channel and assigned Partner legal agreements in close collaboration with our Legal team. 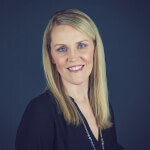 Shannon has been with EdgeLink for 10+ years and is the most senior recruiter on the direct-hire services team. She has extensive experience in recruiting practices and development, as well as client and account management. Her focus is on building long-term business partnerships with her candidates and clients to provide exceptional talent solutions. Shannon holds a bachelor’s degree in business from Linfield College.